Chatbots, a computer program or artificial intelligence which can simulate a convincing conversation with humans, are predicted to be the latest technology to revolutionize many aspects of repetitive commercial and business functions. Typically used in dialog systems for various practical purposes, including customer service or information acquisition, Chatbots are poised to impact the customer service functions of just about every business. Artificial intelligence (AI), which continues to improve and become more conversational, is predicted to replace 16 percent of American jobs associated with customer service, sales and product education by the end of the decade. According to Forrester’s 2018 predictions on the impact of AI on sales and service, more major brands will likely phase out email in favor of real-time, customer-agent communications like Chatbots and chat. But companies are being advised to put off eliminating humans in the call center; at least for now. Current AI deployments still lack the basic capacity for the natural language comprehension and back-office integration necessary to completely replace those friendly human voices, but rapid improvements to the technology’s performance is on its way, and while millennials find conversing with AI more desirable than humans, other generations of consumers are slow to accept the machined personalities on the other end of the conversation. 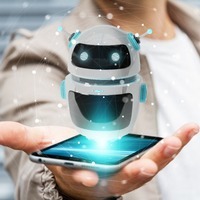 Chatbots are achieving more meaningful interactions with people they are helping, becoming more intelligent, taking on more complex tasks and are helping consumers and employees become more efficient. Jordi Torras, CEO and founder of Inbenta Technologies Inc., an AI vendor of natural language processing tools says, “We have seen how chat and messaging is growing even faster than email as it takes over phone calls as a customer service channel.” Could we be approaching the end of rude and poorly trained customer service representatives? The future is looking up as the technologies that underpin AI continue to develop. The Chatbot market is growing rapidly and is expected to reach $1.25 billion by 2025. By 2020, Gartner Research indicates that consumers will handle 85% of business interactions without a human being involved, a shocking turn of events for those in commerce who could never have envisioned computers replacing personal relationships and human interactions with consumers. Are Marketers Ready to Augment Reality? Is it Social Commerce or a Product Marketing License Agreement?